A few months ago the founding administrators of the Modern Woodworkers Association were given the opportunity to review the new Rough Cut book from Taunton. 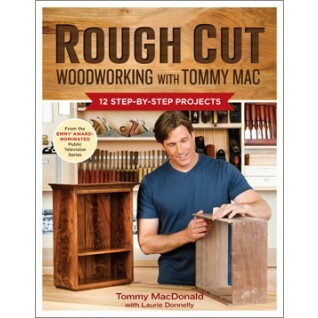 It’s a companion to the first season of the TV show entitled “Rough Cut – Woodworking with Tommy Mac”. The book dedicates a chapter to each of the season one projects with an additional chapter on finishing. It does a good job of walking readers through the projects and with a basic understanding of woodworking and the corresponding episode as a supplement most of the projects should be easily achievable. For our full review, please listen as four woodworkers banter on and on about actually having read a book.